Premier Li Keqiang has called for efforts to deepen reform and opening-up, advance economic and social development, and improve people's wellbeing. 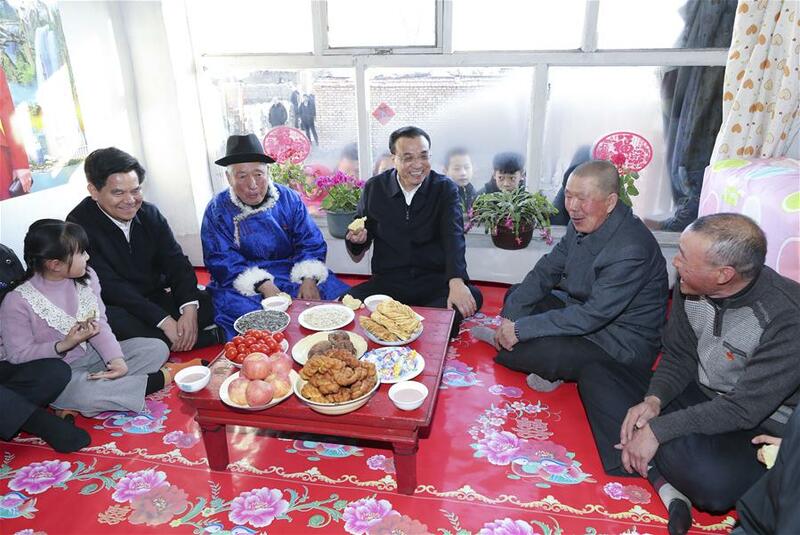 During his inspection tour of north China's Inner Mongolia Autonomous Region from Friday to Saturday, Li, also a member of the Standing Committee of the Political Bureau of the Communist Party of China (CPC) Central Committee, visited poverty-stricken rural households in the city of Ulanqab. Li asked relevant departments to make research on promoting potato planting as part of efforts on eliminating poverty through agricultural development. When visiting a farmers' market, Li learned about the price and sales of beef and mutton. He said more efforts should be made to increase residents' income to make them more willing to spend money. At a train station, Li boarded a slow train and chatted with migrant workers about whether they had received their wages on time. He called for coordinated development of high-speed trains and inexpensive but slower trains to serve passengers with different demands. At a shanty town area, Li underscored the importance of speeding up renovations in order to make local residents live in warm and comfortable houses.